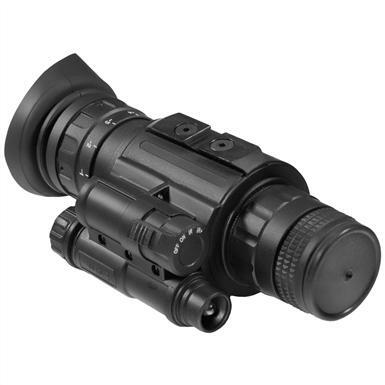 Luna Optics® LN - EM1 - MS Gen - 2+ Elite 1X Night Vision Monocular. Exceptional night imaging, in an exceptionally compact package! Be dead-on sight, in the dead of night. Top-quality you can see... even in the dark! This advanced, solid-performing Gen 2+ Night Vision Monocular packs A-1 performance into a seriously compact package. Weighs a mere 12 ozs. Uses state-of-the-art technology that captures any and all available light to brighten even midnight-dark nightscapes. You'll see detail, movement and even textures more clearly than you would have ever thought possible. Nothing can hide, no matter how bathed in shadows the environment is. A must-have for surveillance, rescue, patrols, viewing farm animals, nocturnal critters and more. And don't forget to check out the optional accessories! For long-range targeting in complete darkness, add the optional Extended Range IR Illuminator for targeting up to 652 ft. If you'd like to mount the Monocular to your rifle scope, check out the Scope Mounting System that works with almost any scope. Max. viewing distance: 492 ft. Measures 5 x 2 3 / 4 x 2 1 / 4 " w., weighs 12 ozs. Runs for 25 hours on just 1 "AA" battery (included). One of the lightest, most compact LED IR Illuminators available... yet its IR beam is super-powerful for extended viewing distance to 660'. Compatible with a wide range of Luna NV Optics, simply screw it onto the Scope's mounting plate. Measures 5 1 / 2 x 1 1 / 4 x 1 1 / 2 " h., weighs 3 1 / 2 ozs. Compatible with Luna Optics models: LN-PRS25M, LN-PRS40M, LN-ERS40M, LN-ERS45M, LN-EM1-MS, LN-EMG-1, and LN-EMG1-PRO. Allows you to easily attach your Luna Night Vision Monocular to your rifle scope. 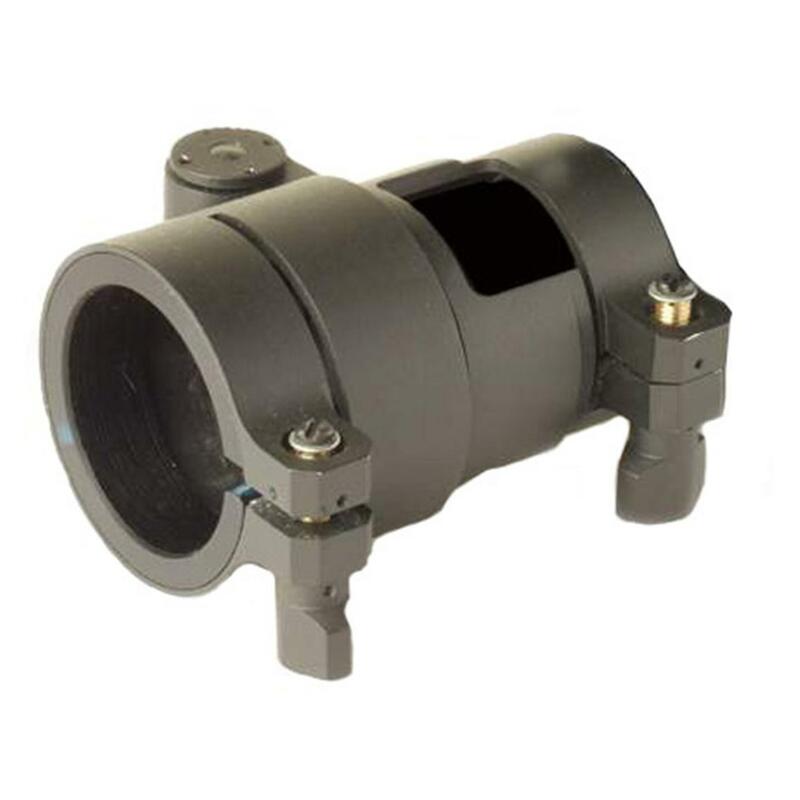 Includes several pre-sized rings that fit virtually ANY scope available today. This Scope Mounting System features a convenient flip-away option which tilts the Monocular away from the scope, while still allowing the Monocular to stay securely next to the scope. No tools required for installation, and once you determine the correct ring size, installing it takes a matter of minutes. 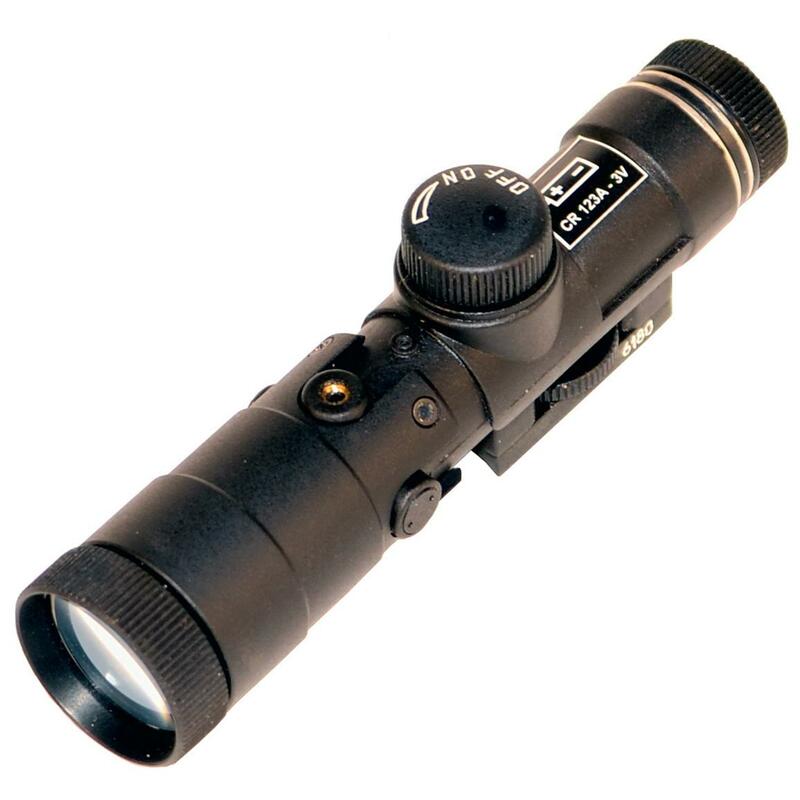 Compatible with the following Luna Optics Monocular models: LN-EM1-MS, LN-EMG1, and LN-EMG1-PRO.